It's not always easy to find the ideal cat clippers for long-haired cats like Persians. Persian cat hair is long and fine, making it prone to mats and damage, but choosing the right trimmer will help you keep that beautiful coat under control. Factors you want to consider when purchasing a cat hair trimmer include the speed of the unit's motor and the type of blades you'll need for the length to which you want to trim your cat's fur. The best cat shaver has a sturdy build that will stand up to wear and tear. Cats also tend to prefer clipper units that run as quietly as possible. Many cats are highly sensitive to the sound of a trimmer, and some cats will become completely livid at the loud hum and strong vibration of a grooming instrument. The Oster Golden A5 Two-Speed Animal Grooming Clippers is at the top of the list of well-reviewed cat hair trimmers. The A5 is amongst the quieter models, and it uses a number 10 blade that trims the hair quite short and cuts through matted fur with relative ease. You can choose between a single speed model and a two-speed model. However, this choice is no small one because the dual speed Oster is a much better pick for severely sound sensitive animals. The high speed is considerably louder than the low speed, which is why the two-speed model may be far more useful. 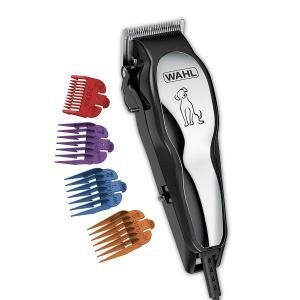 The Wahl Pet-Pro Clippers is named an Editor's Choice on cat resource site Catological. It's a very affordable option retailing for around $30. It comes with a set of four blades as well as combs, scissors and cleaning supplies for your blades. The blades are "snag free" and self-sharpening and the clipper has a heavy duty motor to deal with your biggest grooming jobs. It's not cordless which can make maneuvering it harder but the price makes it definitely worth considering over a cordless model and Wahl has a reputation for high-quality grooming supplies for owners and professionals. The Sminiker Professional Low Noise Rechargeable Cordless Cat and Dog Clippers are highlighted by cat information site OliveKnows. It's a very affordable price for a cordless model and runs for about $25. It comes with 4 blades, comb, scissors, nail trimmer, file, and cleaning supplies. Users on Amazon give it 4.1 out of 5 stars. It's a great model for people brand new to grooming and the guide combs will help you trim your cat correctly and safely. It's small and lightweight which makes it easy to maneuver around a cat and its power level is good for "regular" jobs although you may want to go with a stronger model for a cat with matted fur. If you find yourself in the unfortunate situation of dealing with matted Persian fur, there are some good clipper options to consider. 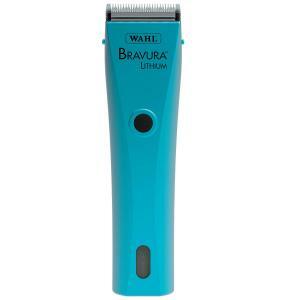 The Wahl Professional Animal Bravura Lithium Clipper gets 4.2 out of 5 stars from users on Amazon. It's priced around $160. It comes in several attractive colors (turquoise, gunmetal, berry, burgundy, pink, and purple). The cordless unit makes it easy to work with when handling difficult grooming issues and the "5 in 1" blade can be adjusted from #9 to #40 lengths. It's also very quiet and has little vibration which makes it easier on a cat that's already uncomfortable. 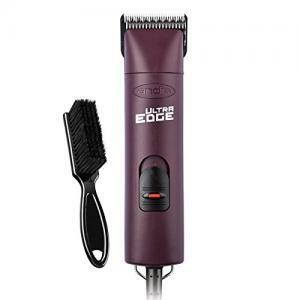 The Andis UltraEdge Super 2-Speed Detachable Blade Clipper retails for about $160. Amazon reviewers give it 4.3 out of 5 stars and cite its quiet operation and slow heat up of the blades in the fastest setting. The clipper has a powerful rotary motor that makes it a great choice for grooming multiple pets. It also comes with an UltraEdge blade which is known for being high end, quality blades that take a long time to wear out. It also is designed in a way to eliminate clogging with cat fur which can be very useful when dealing with a long-haired Persian with matts. 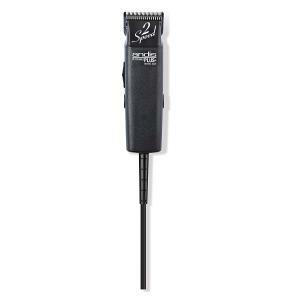 Another Andis model is the ProClip Speed Detachable Blade Clipper. This one retails for about $110 and gets 4.2 out of 5 stars from Amazon users. 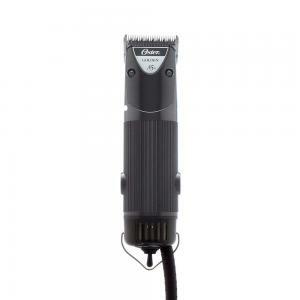 A corded model, the benefit of using this clipper for matted cats is the powerful motor. This clipper is designed for taking care of heavy duty jobs quickly and cleanly which is important when you have a matted cat that is already stressed and uncomfortable. Like the Andis UltraEdge, it is also designed to eliminate the possibility of fur getting clogged in the clipper which makes the job go faster for the cat and makes cleaning up later easier for you. It is important to brush thoroughly through your Persian's coat before using the trimmer. This helps to remove mats and avoids winding up with a very rough cut. Once the hair has been trimmed, it's time for a bath. Bathe your cat with a good conditioning shampoo and follow up with another solid brushing job once your cat is dry. Give your cat a thorough brushing every few days and this will make your Persian's next trim far easier. 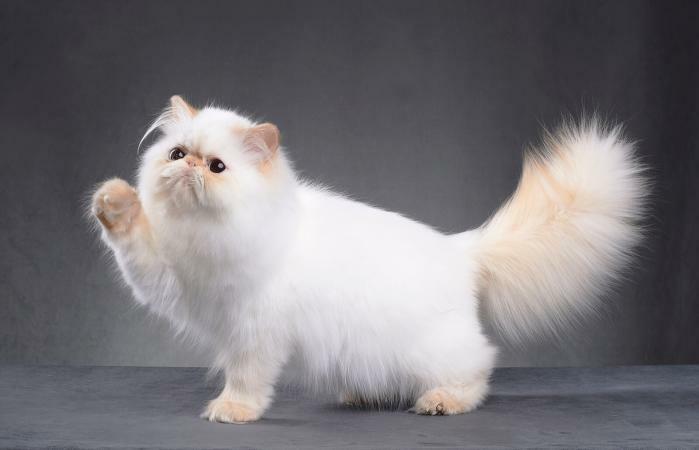 The Persian breed features a thick, long-haired coat that is absolutely stunning when groomed. Unfortunately, when it is not groomed, this glorious coat can become a horrendously matted mess. Consistent grooming is necessary in order to prevent hair situations from becoming truly out of hand. Persian cat owners who want to show their cat will want to consider the idea of home-grooming very carefully. Even the best trimmer for Persian cat hair will yield unsightly results if you are not knowledgable about long-haired cat trimming. If you are showing your animal in the show circuit, you should strongly consider leaving the grooming to the professionals. Persian breed standards are very particular and you may want to skip the trimming altogether when it comes to maintaining a show-standard appearance. While there are many cat hair trimmers on the market that are excellent quality, not all will work well on long, thick Persian fur. 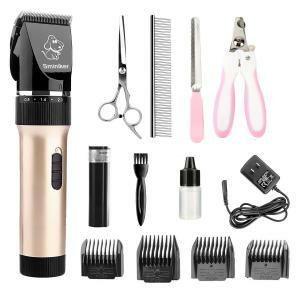 It is a good idea to check reviews of different trimmers and ask other Persian cat owners in your area for their opinions before investing big bucks in a new trimmer.